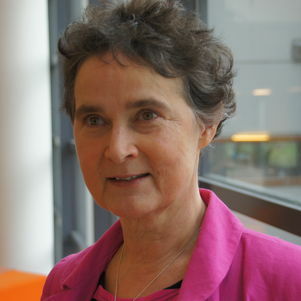 Frances Brazier is a full professor in Engineering Systems Foundations at the Delft University of Technology, as of September 2009, before which she chaired the Intelligent Interactive Distributed Systems Group for 10 years within the Department of Computer Science at the VU University Amsterdam. She holds a MSc in Mathematics and a doctorate in Cognitive Ergonomics from the VU Amsterdam. Parallel to her academic career she co-founded the first ISP in the Netherlands: NLnet and later NLnet Labs. She is currently a board member of the NLnetLabs Foundation. Design space exploration revisited, van Langen, P. H. G. and Brazier, F. M. T., in: AIEDAM, Special Issue on Design Spaces, volume 20, number 2, pages 113-119, 2006. Designing Creative Artificial Systems, van Langen, P. H. G., Wijngaards, N. J. E. and Brazier, F. M. T., in: AIEDAM, Special Issue on Learning and Creativity in Design, volume 18, number 4, pages 217-225, 2004. A Topological Investigation of Phase Transitions of Cascading Failures in Power Grids - Yakup Koç, Martijn Warnier, Piet Van Mieghem, Rob Kooij and Frances Brazier, In Physica A: Statistical Mechanics and its Applications, 415(273-284), Elsevier, 2014. An Entropy-based Metric to Quantify the Robustness of Power Grids against Cascading Failures - Yakup Koç, Martijn Warnier, Rob Kooij and Frances Brazier, In Safety Science, 59:8(126-134), Elsevier, 2013. Self-Adaptive Service Level Agreement Monitoring in Cloud Environments -Kassidy Clark, Martijn Warnier and Frances Brazier, In Multiagent and Grid Systems, 9:2(135-155), IOS Press, 2013. A Multi-Agent System Performing One-to-Many Negotiation for Load Balancing of Electricity Use, Brazier, F. M. T., Cornelissen, F., Gustavsson, R., Jonker, C. M., Lindeberg, O., Polak, B. and Treur, J., in: Electronic Commerce Research and Applications Journal, volume 1, pages 208-224, 2002. Anonymity and Software Agents: An Interdiscplinary Challenge, Brazier, F. M. T., Oskamp, A., Prins, J. E. J., Schellekens, M. H. M. and Wijngaards, N. J. E., in: AI & Law, volume 1-2, number 12, pages 137-157, ISSN 0924-8463, 2004. Law-Abiding & Integrity on the Internet: a Case for Agents, Brazier, F. M. T., Oskamp, A., Prins, J. E. J., Schellekens, M. H. M. and Wijngaards, N. J. E.,, in: AI & Law, volume 12, number 1-2, pages 5-37, 2004. A WS -Agreement Based Resource Negotiation Framework for Mobile Agents, Mobach, D. G. A., Overeinder, B. J. and Brazier, F. M. T., in: Scalable Computing: Practice and Experience, volume 7, number 1, pages 23-36, 2006. Deliberative Evolution in Multi-Agent Systems Brazier, F. M. T., Jonker, C. M., Treur, J. and Wijngaards, N. J. E., in: International Journal of Software Engineering and Knowledge Engineering, volume 11, number 5, pages 559-581, 2001. Scalable Middleware Environment for Agent-Based Internet Applications Overeinder, B. J. and Brazier, F. M. T.,, in: Applied Parallel Computing, pages 675-679, Springer, 2006. The DST-NWO joint research project on "Smart Grids" ADREM: Adaptive clustering for Decentralized Resilient Energy Management, Delft University of technology, CWI, Indian Institute of Technology, Kanpur and Indian Institute of Technology, Delhi, 2015-2019. The NWO URSES project Stascade: Stable and scalable decentralized power balancing systems using adaptive clustering, Delft University of Technology and CWI, 2014-2018. The EU FP7 STREP project CIVIS: Cities as drivers of social change, Delft University of Technology and others, 2013-2016. The (BART Bruger Alert Real Time) project, focuses on the design of a system that allows citizens, public and private prateners to participate in creating a safe and secure environment, 2014-2015, National Dutch Police, City of the Hague. The DIRECT flagship project SHINE: Sensing Heterogeneous Information Network Environment, Delft University of Technology, 2012-2016. The NWO SES project RobuSmart: Increasing the Robustness of Smart Grids through distributed energy generation: a complex network approach, Delft University of Technology, 2011-2015. The AgentScape: Distributed Agent Middleware project, Delft University of Technology and D-CIS Lab, 2001 (ongoing).